I recently started boards on Pinterest called “Where I’m Going” and “Where I’ve Been“. I got a glimpse of my where I’ve been board last night, and I couldn’t help but go through the pictures. I’ve been so lucky to be able to travel to some beautiful places in this world. Of course there are plenty more places I’d love to go, but I have quite a few impressive stamps on my passport. Every once and a while I just need to stop for a second and reflect on some of the things I’ve seen. Pretty amazing, huh? First off I’d like to say how happy I am that Pinterest is letting us choose the cover photos for our boards. Mine, after way too long of changing, now looks little somethin’ like this… yay! Moving on, I couldn’t be happier that it’s Friday. Waking up at 5:20am really knocked me on my arse this week. I’m so ready for a little extra sleep! It’s also Andrew’s birthday on Saturday, so we have lots of fun things planned. I’ve been finding a lot of time to pin on my iPhone… knock on wood the app has been working perfectly… and I’m finding so many blog ideas. It seems like I won’t be able to do two posts a day anymore, so you’ll all get a heavy dose of gorgeous on Fridays! I’ve been so busy lately and I’ve been neglecting my Twitter and Pinterest pretty seriously. I’ve kept up with blog posts luckily, thanks so some serious insomnia that hits at approximately 3am every morning. The good thing about said insomnia is that 3am New York time is 9am Paris time and my Twitter feed is filled with photos of croissants, Parisian architecture, and of course outfit photos via Instagram as everyone makes their way to the shows. I wonder if you guys can guess my four favorites. Probably, I’m super predictable when it comes to Paris, and fashion week, and colors. While I was sleeping last night New York decided to turn white. I’m a huge fan of sitting inside drinking hot cocoa and looking outside at the fresh snowfall on the trees. It seems like Mother Nature decided to give us a fresh, clean start this morning and I couldn’t be happier about that. But when it comes to leaving the house, I’d much prefer to wait until the spring. Can I just hibernate and online shop until Europe in the springtime? Is this what it will look like in Paris this May? I sure hope so. Have a fantastic weekend! Welcome back! Let’s get real with this Paris talk. Schlepping around Paris in outfits like these would be pretty impossible as tempting as it may be. What I do know though, is that I’m going to need a lot of inspiration for packing for Paris. Here are some of my favorite looks that are perfect for traveling and that relate a lot to what’s already in my closet. After all, I certainly can’t go buying new everything just for this trip. Unless someone wants to give me a sizable loan? No? 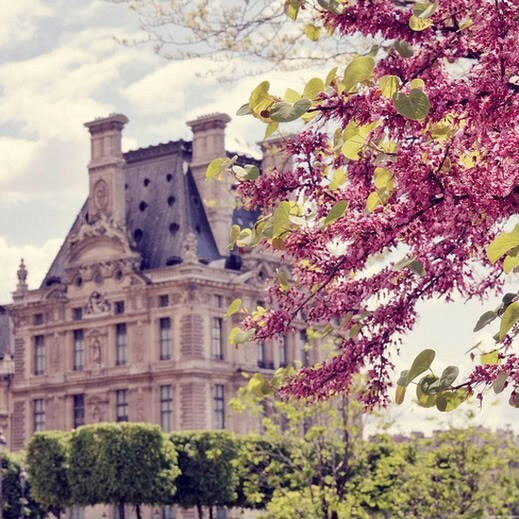 I will be going to Paris in May for the third time… I may be the luckiest girl in the world! My Mom and I will be traveling to Ireland with two of my cousins to explore our Irish roots a bit, but she has been sneaking hints that she wants to head over to Paris while we are there. Obviously it didn’t take much convincing for me to be in on that plan. My Mom has never been to Paris and it’s always been her dream to go. I couldn’t be more excited to be the person who gets to go with her! I’m already planning all of the things we will get to do while we are there. 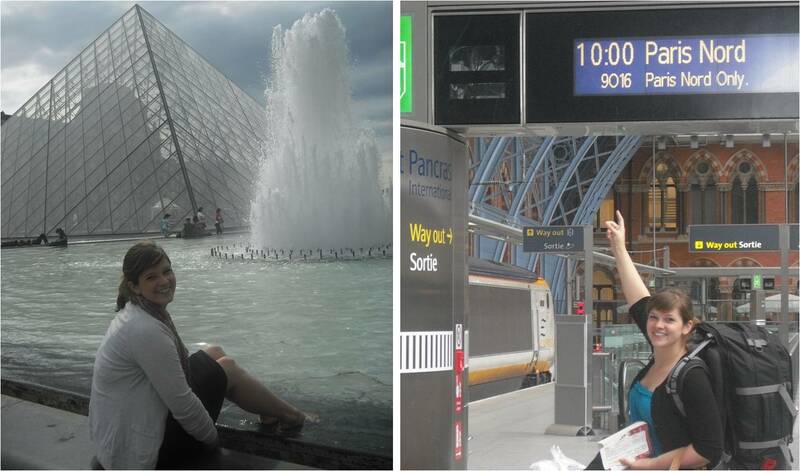 What’s really important to me aside from making sure to get to Versailles and a picnic on the lawn of the Louvre? I need to make sure that my fashion is on par with Parisian women. 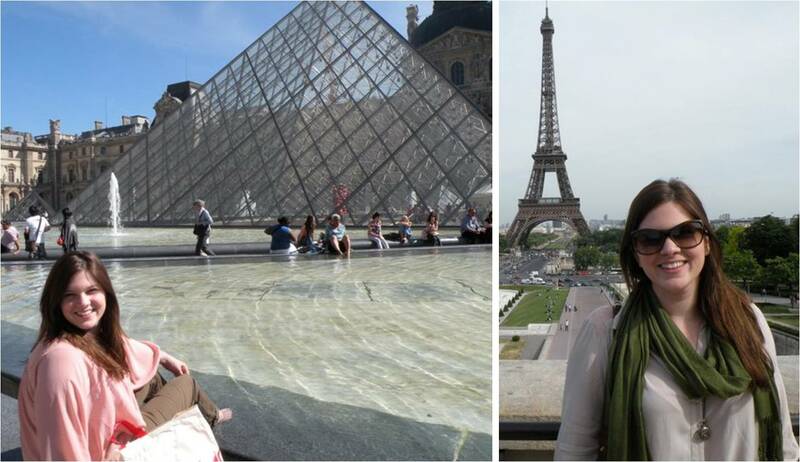 The first time I traveled to Paris I was backpacking through Europe after a few months of study abroad in London. Everything that could fit into my crazy huge backpack was majorly wrinkled (thank goodness for Downy wrinkle release) and comfort was of the essence. Sundresses and scarves were my go-to for sure. The second time I was headed to a wedding in London post Paris trip and was way more concerned with getting my dress to London safely rather then looking super chic in Paris. My garment bag with my dress, shoes and fascinator for the wedding took up half of my suitcase. Silk button downs were obviously huge for me this trip. Stay tuned because later on today I’ll be going through what I plan to take with me to Paris in May. With four months to plan, I’m going to make sure I look like I belong… at least until I open my mouth! On days like today in NYC I’m always longing for a day like this in Paris instead. Well, this is goodbye for now. I’ll be boarding a plane tonight for London/Paris… see you all soon with lots and lots of pictures!